A new league brings upon heightened expectations for the Bowling Green State University hockey team. For many, anything less than a top-four finish in the revamped 10-team WCHA will be a disappointment. “We will have a chance to make an impact in a great league,” Falcons head coach Chris Bergeron said. “We’re a team that should be competing at a high level night in and night out. Void from this season’s schedule are former CCHA powers Michigan, Michigan State, Western Michigan, Miami and Notre Dame. The Falcons will play one Big Ten opponent in Ohio State. BG faces the Buckeyes in the home-opener at 7:07 p.m. on October 15 at the BGSU Ice Arena. The Falcons open the season on the road against Union College at 7:30 p.m. Friday, October 11 at Frank L. Messa Rink at Achilles Center. The CCHA disbanded after last season as the result of a conference realignment stemming from the Big Ten Conference choosing to sponsor Division I ice hockey and the formation of the National Collegiate Hockey Conference. The NCHC consists of six former members of the WCHA, as well as Western Michigan and Miami. Notre Dame accepted an invitation to Hockey East. WCHA member institutions include Alabama Huntsville, Alaska Anchorage, Alaska, Bemidji State, Ferris State, Lake Superior State, Michigan Tech, Minnesota State, Northern Michigan and Bowling Green. BGSU Hockey was recently picked fourth in the Mankato Free Press WCHA preseason coaches poll behind Minnesota State, Ferris State and Michigan Tech. The Falcons finished last season 15-21-5 overall and 10-15-3 in the CCHA for 9th place. They defeated Lake Superior State in the first round of the CCHA tournament before being swept by second-seeded Notre Dame in a Quarterfinal round. It was the third consecutive season BG had advanced to the second round. Chris Bergeron’s squad will be shooting for the 20-win mark this season, which should be attainable. However, it has been a while since the Falcons have reached 20 wins. It was last accomplished the 1995-96 season when they went 26-14-1 overall, 18-11-1 for 5th in the CCHA. BG does have a little history on its side. 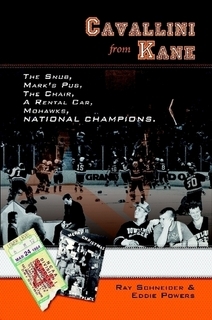 The Falcons claimed their first 20-win season upon joining the CCHA in the 1971-72 season. That year, they finished 21-10-2 overall and 6-4-2 for 3rd in the conference. The heightened expectations are warranted. Bowling Green boasts an experienced roster with 16 juniors and seniors and a seven-member sophomore class that contributed on the ice as freshmen. It also returns its top four point leaders in juniors Ryan Carpenter (18 goals, 15 assists) a preseason all-WCHA selection, Dan DeSalvo (5g, 20a), Adam Berkle (7g, 14a) and sophomore Dajon Mingo (8g, 14a). A senior line of Cam Wojtala (8g, 8a), Bryce Williamson (12g, 7a) and Brett Mohler (6g, 5a) will look to do damage in the offensive zone for the Falcons. That line combination scored 26 goals and had 20 assists last season. BG has depth on its side with sophomores Brent Tate (4g, 9a), Ben Murphy (6g, 7a) and Mark Cooper (9g, 7a) as well as senior Andrew Wallace (3g, 5a). Other returning forwards include seniors Chad Sumsion, Ryan Viselli, and junior Ted Pletsch. The Falcons lost four players to graduation including top goaltender Andrew Hammond and defenseman Bobby Shea. Hammond posted a 10-15-3 record with a 2.47 goals-against average and a .917 save percentage in 29 games last year. He finished his BG career ranked second all-time with a 2.84 goals against average. He also had 3,030 saves in his career, joining Gary Kruzich (3,580), Tyler Master (3,286) and Jordan Sigalet (3,147) as the only Falcons to accomplish the feat. Shea was a second-team all-CCHA selection and a finalist for top Defensive Defenseman. In 40 games he had 20 points (4g, 16a) and led the Falcons with an on ice average of plus-17 and was second in blocked shots with 50. Bergeron, believes goaltending is strong but one position that isn’t proven over a length of time. Sophomore goaltender, Tommy Burke who played 16 games last year with a record of 5-6-2 is expected to start the season in goal. He finished his first year with a goals-against-average of 2.57 and a .889 save percentage. He saw an average of 20 shots per game compared to Hammond who faced an average of 28 shots. Freshman Tomas Sholl of Hermosa Beach, California will see time in goal and will push Burke for a starting role. Sholl had a goals-against-average of 3.14 and a save percentage of .908 in 32 games last season as a member of the Fresno Monsters of the North American Hockey League. “We are young in goal but with those two guys we feel like we are in good hands,” Bergeron said. Scott Zacharias, who has appeared in three games as a Falcon with a 2.56 goals against average and a .800 save percentage is also vying for time. BG will have a junior-laden defensive unit featuring Mike Sullivan, Connor Kucera, Marcus Perrier and Rusty Hafner. Sullivan finished last season with 16 points (1g, 15a), a plus-14 rating and a team-high 69 blocked shots. Kucera had eight points (2g, 6a) with 25 blocked shots, while Perrier had 6 assists and the third most blocked shots on the team with 47. Hafner also made the most of his time on the ice with 6 points (1g, 5a) and 15 blocks. Sophomore Ralfs Freibergs should also play a significant role on defense and in the power play. In eight games, Freibergs had seven points (1g, 6a) and a plus-three on-ice rating. Fellow sophomore, Jose Delgadillo will see time on the ice. A season ago, he tallied an assist and 22 blocks in 27 games. Jake Sloat should be back on the ice after sitting out last season with a broken right leg he suffered during a scrimmage against the Ontario Institute of Technology. Sloat played in 42 games his sophomore year, leading the team with 48 blocked shots. He scored one goal and had seven assists. BG has five freshmen on the roster including forwards Pierre-Luc Mercier, Kevin Dufour, Matt Pohlkamp, defenseman Sean Walker and goaltender Sholl. There won’t be a lack of confidence or expectations for Bowling Green this season. If the Falcons can execute, they won’t disappoint.